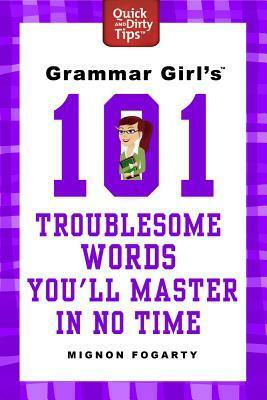 Although I like to think my grammar is pretty good, I confess to checking things on Grammar Girl's site from time to time and so I thought I'd see what she had to share in this new book. It was certainly an interesting mix. Some words I was surprised to see in there, unable to grasp how people could get them wrong, others I found intriguing in terms of the history of their use. I didn't always agree with Fogarty's decisions, but that is most likely a case of UK vs. US more than anything. In any case, this was a fascinating read and will be a useful resource for those looking to improve their grammar.